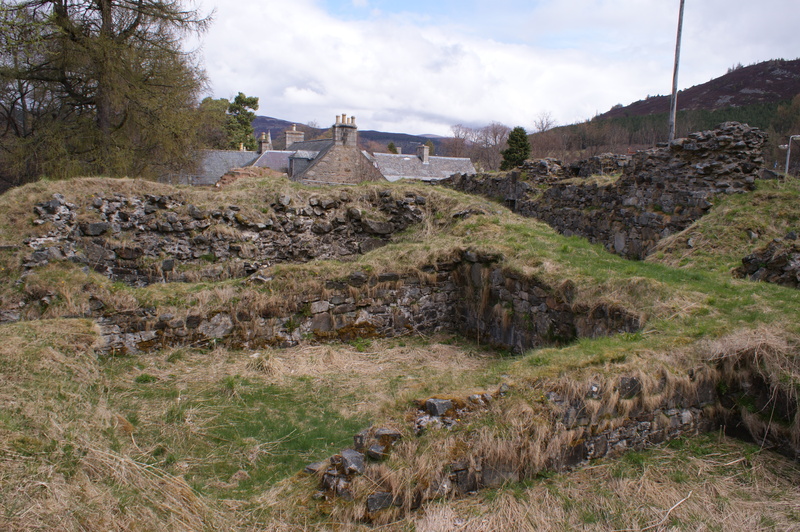 Kindrochit Castle is a Scheduled Monument (HS Ref No 2583), located in the center of Braemar, Aberdeenshire. 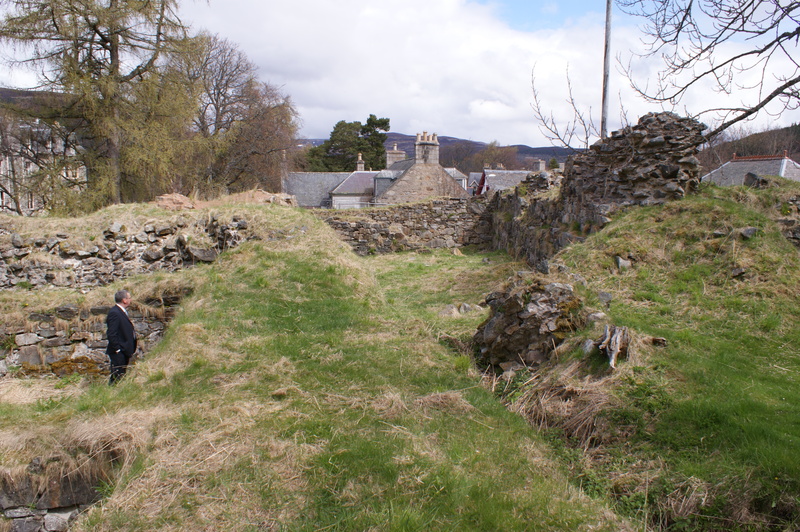 The Castle is thought to have been built in the late 1300s during the reign of King Robert II (son of Robert the Bruce) of the House of Stewart. The castle was then named Ceann-drochit meaning Bridge Head. A bridge was built here across the River Clunie which was the only means to cross it for several miles. 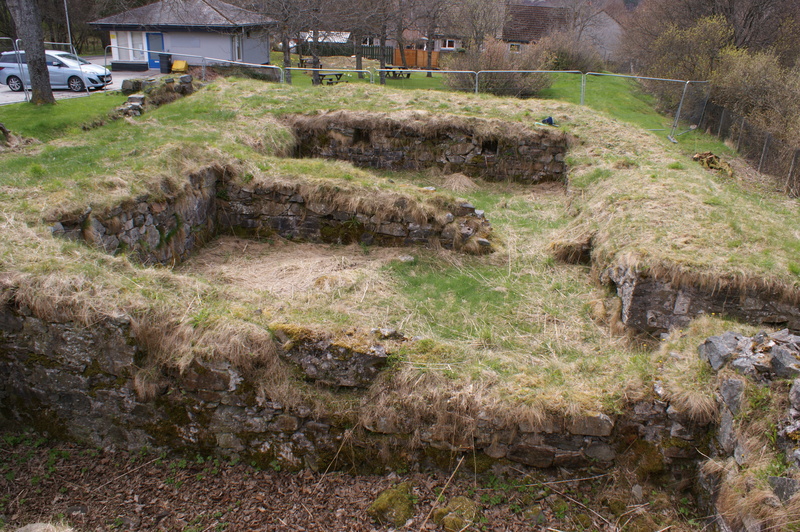 The site was used as a palace, or hunting seat, by King Robert II in the late 14th Century. Charters and the Exchequer Rolls indicate that he visited Kindrochit almost every year from 1371 to 1388. 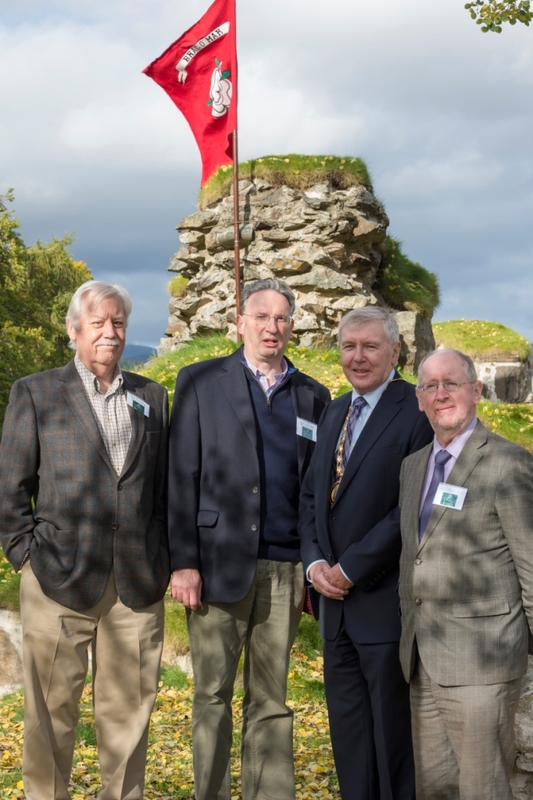 Subsequently, King Robert III gifted the castle to Sir Malcolm Drummond, his brother-in-law. 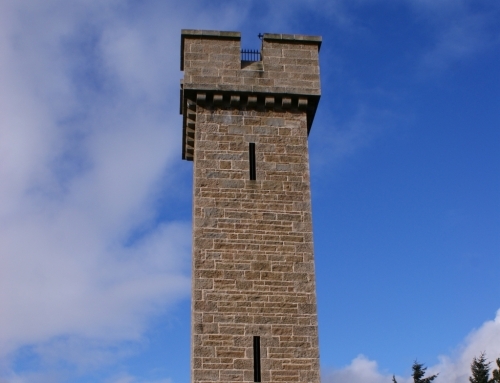 He built the family tower on the site in 1390, making it the sixth largest castle in Scotland at the time. Legend has it that in the 17th Century the plague struck occupants of the castle. 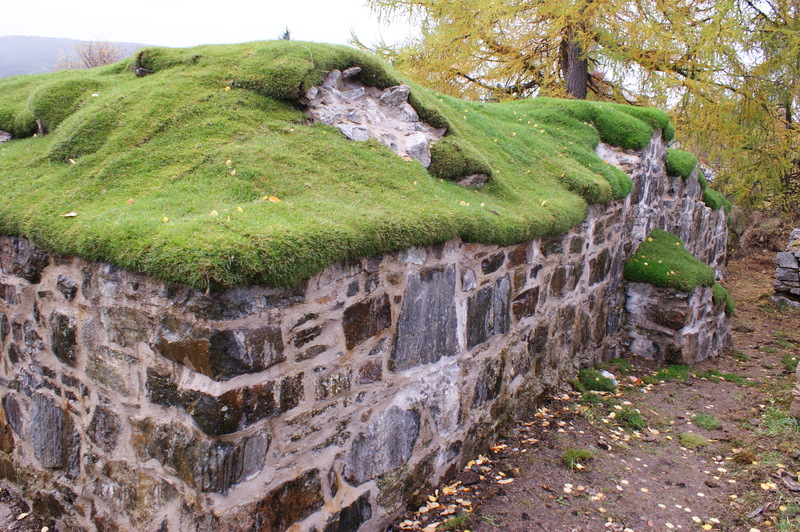 In order to prevent them from leaving the confines of the castle and spreading the deadly disease, the occupants and the castle were destroyed by cannon. 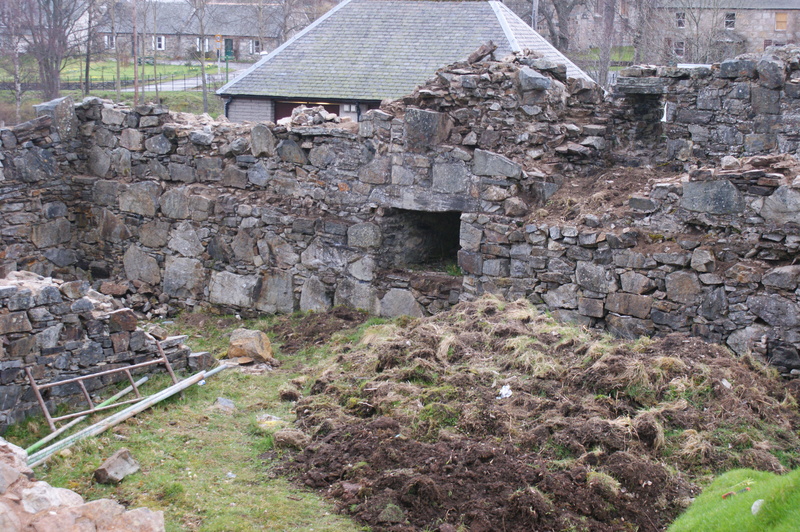 It was unoccupied after that and by 1628, the castle was in ruins. 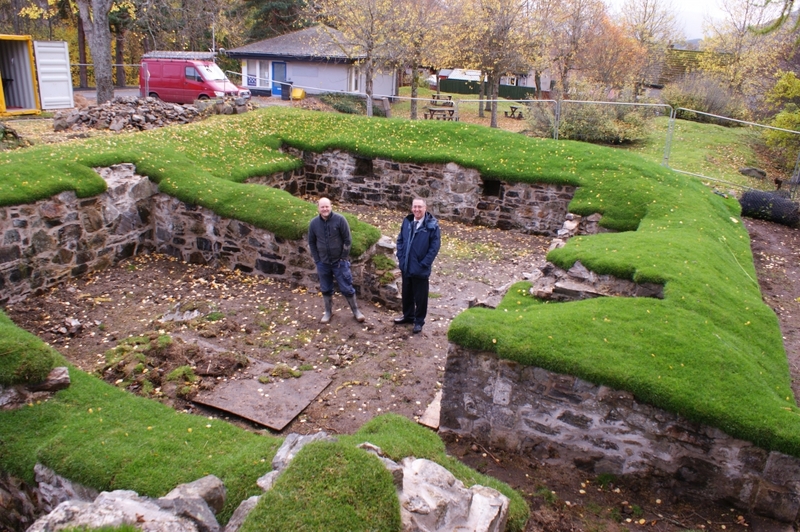 The remains of the castle were excavated by Douglas Simpson in the 1920s. 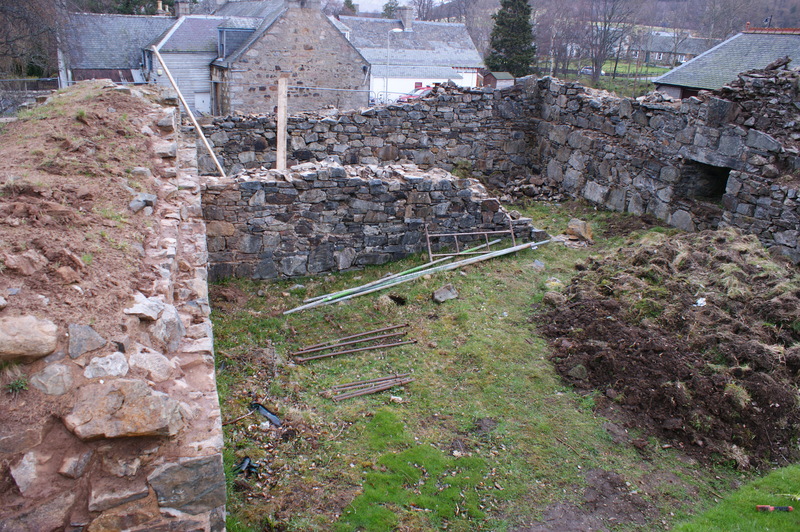 The excavations revealed a guard tower adjacent to the family tower. Further away stood the row of rooms that served as cellar, larder and prison. One of the most significant finds was made in the prison. It was a silver brooch with 16th Century French Gothic writing that read, ‘I am here in place of a friend.’Known as the Kindrochit Brooch, it is now housed in the National Museums of Scotland in Edinburgh. 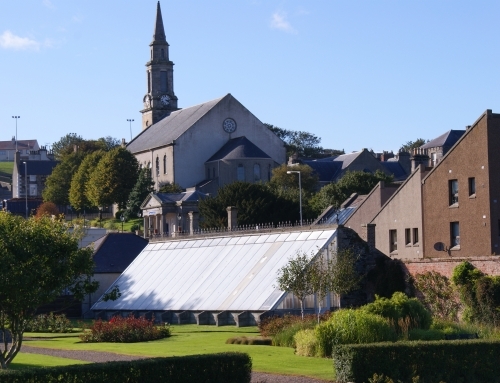 The building was taken over by Kincardine and Deeside District Council from the local estate as part of a land transaction in the 1970s and was subsequently transferred into the ownership of Aberdeenshire Council. 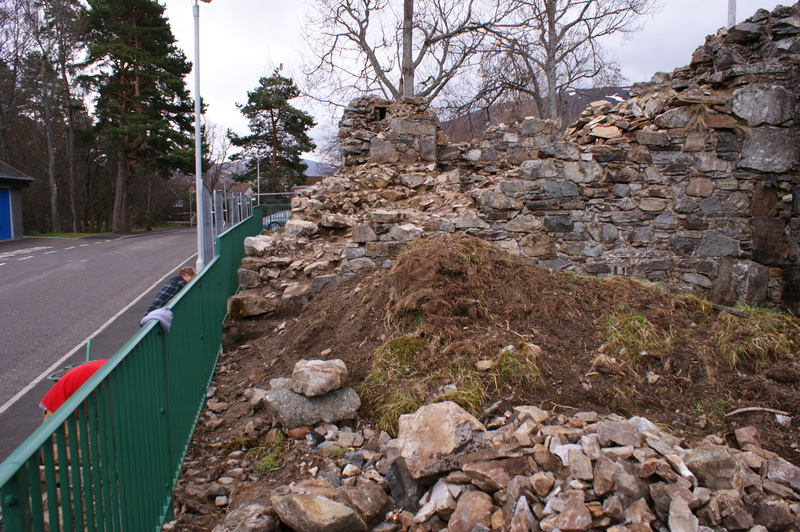 Despite the significance of the structure (Scheduled Ancient Monument), it suffered from a minimal ad-hoc maintenance regime from around 2003. 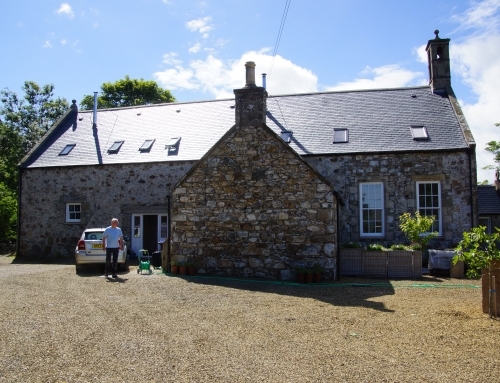 Following an approach from the local community and the local Councillor in 2012, the property was inspected with a view to carrying out some remedial works including access improvements and interpretation. 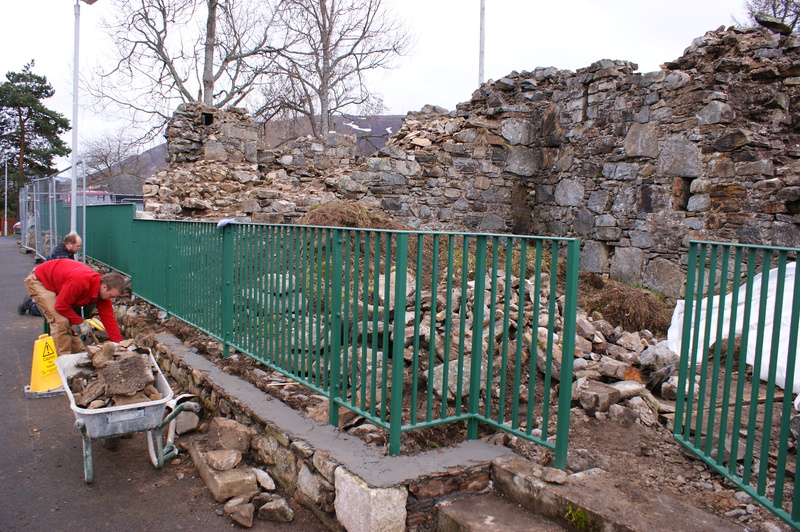 Conservation Accredited Architect, Doug Reid, of James F Stephen Architects prepared a detailed specification for the works, which included repairing the walls and repointing them with lime mortar, re-turfing the wallheads, providing all-abilities access and installing interpretation panels. 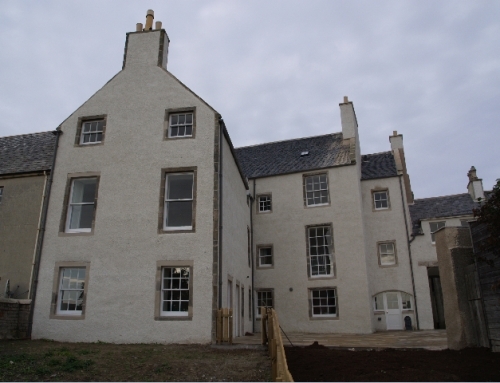 Local company Urquhart Stonemasonry Ltd was appointed to carry out the work in two phases during 2013 and 2014. 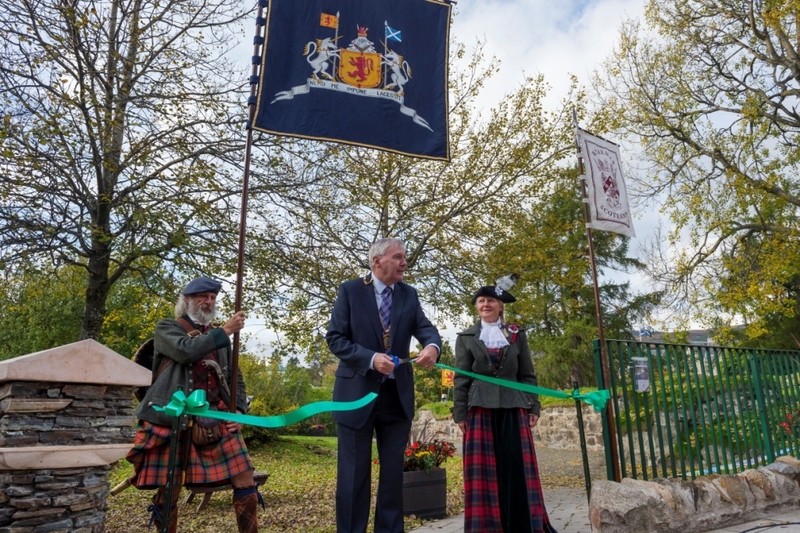 The company is run by Stewart Urquhart, but his father, renowned Master Stonemason Alistair, came out of retirement to help with the project. 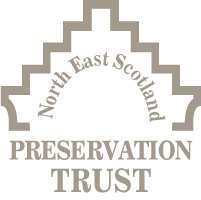 The total cost of the project was around £216,000 with the Cairngorms National Park Authority providing £96,000 and the balance coming from Aberdeenshire Council’s Historic Assets Management Project. 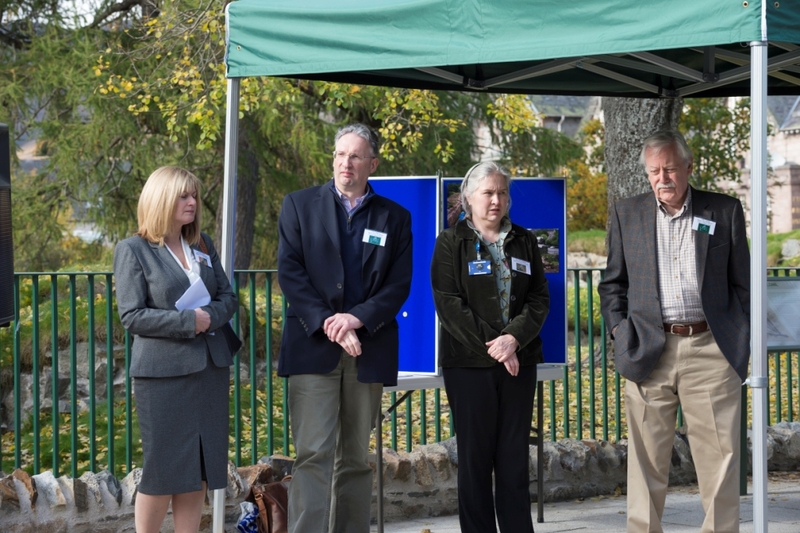 The castle opened to the public at Easter 2015 and has been well used by visitors and locals alike ever since. 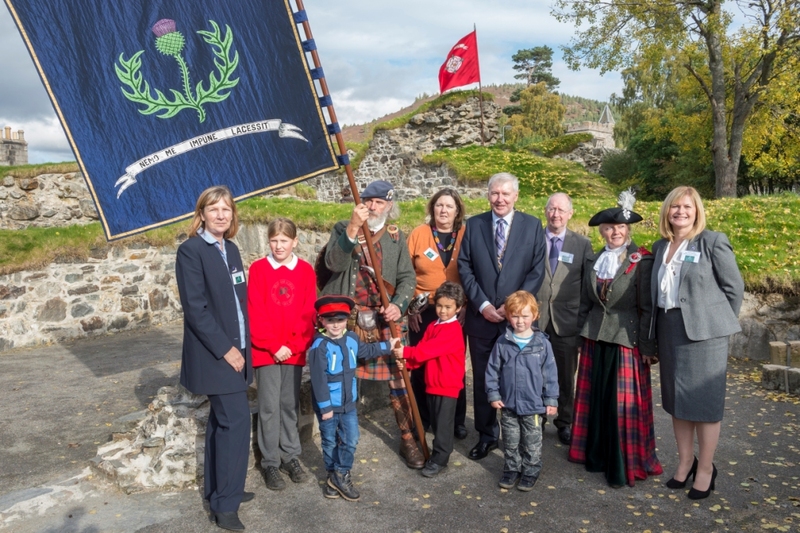 Images of the opening event are courtesy of Aberdeenshire Council.